The RWA’s Annual Open Exhibition – now in its 163rd year – is a highlight of the region’s art calendar. 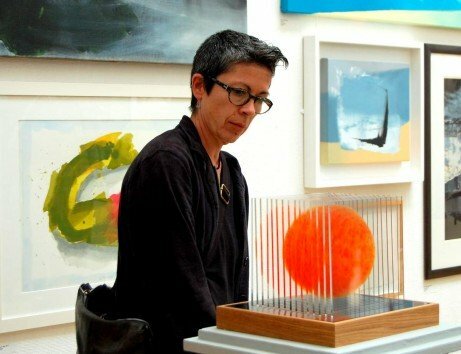 Attracting leading artists from throughout the UK, it is open to all, and often includes work by unknown exhibitors alongside well-known names. A selection panel assesses every entry and this year 593 works by 386 artists have made it into the final exhibition. The exhibition also includes a major work by this year’s invited artist, Rose Hilton, who is the RWA’s latest Honorary Academician. Exhibition highlights include the intimately hung Milner Gallery, repainted in a rich peacock blue-green (courtesy of Earthborn Paints) boasting a multitude of miniature artworks that dot the walls like precious gems. In the main galleries visitors are greeted by a striking number of figurative works that line the impressive far wall, ranging from the traditional to the quirky. This year also sees the return of a favourite of regular Annual exhibition-goers – ‘the black and white room’ – with an increasingly high standard of drawings and prints, and an even greater number of sculptures providing something for 2D and 3D art lovers alike. All the work displayed is for sale and with prices starting from as little as £25 the exhibition provides the perfect opportunity for art enthusiasts and collectors to discover their new favourite artists. The show is an eclectic mix of work by unknown, emerging and established artists, in a variety of mediums, and offers something to suit all tastes. For a full list of exhibitors and their works, please click here to download a PDF of the catalogue. The Annual Open Exhibition showcases a diverse range of painting, drawing, printmaking, photography, sculpture and architecture, selected and curated by an expert panel from thousands of submitted works. With prices starting from around £25, the show offers an ideal opportunity to start or build an art collection with an eclectic mix of work by established, emerging and unknown artists to suit all tastes and pockets. Finishing on 29 November, the show also provides the perfect opportunity for purchasing a truly original Christmas present. Buying a piece of art can be a daunting task when there is so much to choose from, but the RWA aims to make this process easy and enjoyable. Our team are on hand to help and advise ensuring you find the perfect artwork to suit your taste, home and budget, and there’s even the Arts Council’s interest-free Own Art Scheme which could help you to spread payments over 10 months (t&cs apply). Each year, the Annual Open Exhibition is deemed bigger and better than the last, and whether you are an artist, art-lover or collector, it offers a visual treat for all ages and tastes – don’t miss it! The Annual Open Exhibition is sponsored by Smith & Williamson.